The new X Series from TRUE is built for sharpshooters. Loaded with improved technology, the X Series takes the successes of its predecessor and raises the bar yet another level. The TRUE XC7 ACF Composite Stick employs Smart Ply technology in the shaft, which is a 25-layer carbon fiber construction. This layering not only makes the stick extremely light, but helps offer a more consistent feel and increased durability. Axenic Technology generates completely uniform internal wall thickness and shaft profile. This eliminates excess material from the inside of the stick, and gives the stick unmatched balance in comparison to its competitors. The shaft is then finished with a Matte Grip coating. The XCore blade uses a Urethane core that compresses upon impact, creating a two-fold benefit for the player. First, it creates more spin, which results in flatter puck flight and, thus, a more accurate shot. Second, it helps to cradle the puck, aiding in pass receiving and overall puck control. With a traditional mid kick point design, the TRUE XC7 ACF will efficiently load and transfer energy into shot power. In other words, you definitely dont have to give up velocity at the expense of accuracy! Construction Material: SmartPly Construction Type of material the product is made of. 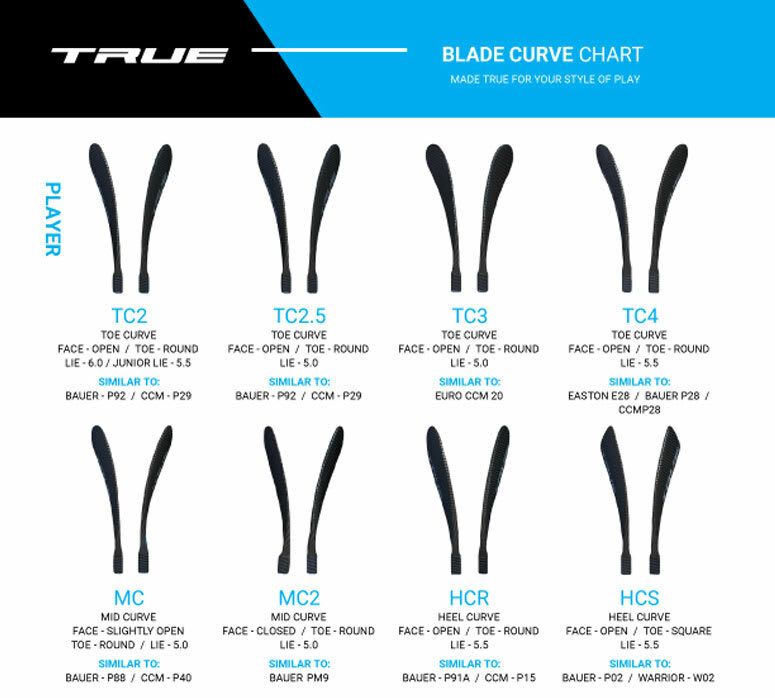 Blade Construction: XCore Technology Type of material the blade is made of.